IMEX in Frankfurt takes place from May 15 to 17 this year, with a new set of educational programmes. 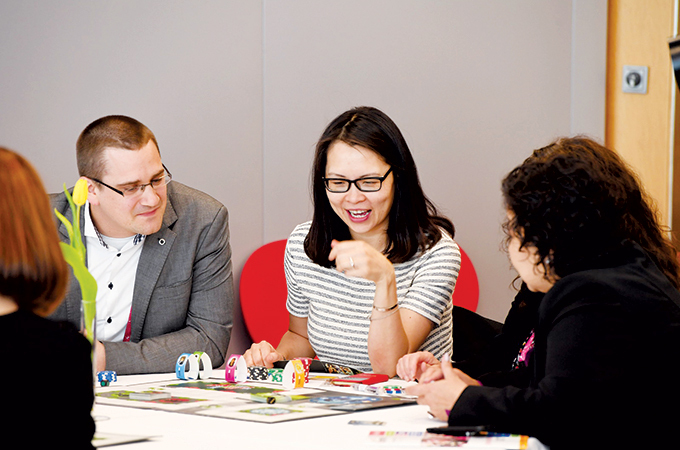 Carina Bauer, CEO of the Imex Group, explains why the comprehensive programme of free education – alongside the vast array of exhibitors – is a reason not to miss this year’s chapter. A full programme of professional education and insights runs throughout the three days of the show as well as during EduMonday, taking place the day before Imex in Frankfurt, on Monday (May 14). From general education open to all – planners, suppliers, partners, exhibitors – to specialist sessions designed for specific areas of the industry, the expert-led education programme during EduMonday will help attendees foster fresh ideas and new habits, with a firm focus on professional development. London Business School’s Executive Director of Thought Leadership Adam Kingl will lead PCMA Business School, offering a free MBA-quality professional development workshop on ‘Strategic Innovation: Disrupting the Events Industry with New Business Models’. The Agency Directors Forum is a new facilitated forum for professionals who own, or are part of, a senior management team at small to mid-size meetings and events agencies. Meanwhile, the younger generation of meeting professionals can kick start their career at Rising Talent, a new programme designed for the under 35s by the under 35s. Exhibitor-focused sessions cover sales skills, strategies for follow ups and destination marketing techniques including the popular Global Destinations Sustainability Index and Report. Imex is also offering the Event Design Certificate, a full day workshop intro to the Event Canvas Model, a strategic event management model for customer-centric events. This allows 30 English and 30 German-speaking event professionals to take their career to the next level by taking the certification free of charge on the day. There’s also exclusive education and networking for corporate meeting planners at Exclusively Corporate and for association meeting planners at Association Day. In between the wide range of sessions delegates can enjoy live entertainment, take Time to refocus in the white space area or rejuvenate in the Be Well Lounge. A wider programme of free education runs across the three days of the show with over 180 seminars, including workshops, campfires and bite-sized show-floor education. Attendees can choose from carefully selected tracks, including business skills, creative learning, marketing and social media and diversity, to create their own bespoke schedule, all designed to help them keep a finger on the pulse of the industry.